Every summer kids all over pack up their bags and head out to summer camp; it’s a rite of passage. Their days are spent learning new skills and their evenings spent telling ghost stories around a campfire or in their bunks. For many kids, the biggest worry they have is whether they will get enough swim time or whether they can sneak in their favorite video games. However, those with allergies or asthma may be worried about more than just camp activities and being away from home. Leading up to camp parents can take a couple of precautions to help their child prepare, so they feel safe while having fun this summer! Most camps already have protocols in place to help campers with medical conditions, and many may require parents or a physician to fill out a medical form ahead of time. Contact the camp director or medical official to discuss their policies for campers who have medical conditions. Alerting camp officials early can help them prepare their staff. Volunteers often work at summer camps, and they may not know how to manage allergies and reactions, ask how the staff will be trained and informed of camper allergies. Keeping an open line of communication can help you and your child stay informed and safe during their time at the camp. Several weeks before camp starts, check prescriptions for both expiration dates and to ensure there will be plenty to last through the duration of camp. If leaving medication with the medical officer, clearly label the bag or bottle with your child’s name. Speak with their camp counselor, as well as the medical staff, to learn more about camp medical policies and share specific triggers your child may have. Discuss camp policies on where medications are stored, and if your child will have quick access to their inhaler and epinephrine auto-injector. If food allergies are a concern, talk to the camp cook or dining hall staff ahead of time. Discuss your child’s food triggers, learn what procedures are taken to prevent cross-contamination, and ask about the ingredient lists for meals. In addition to speaking to the camp staff, remind your child never to trade food with the other campers. Check on procedures for food in the common area or cabins. If you pack snacks and other food for your child, store them in the proper places to prevent little creatures from eating them first. An allergen identification bracelet, a tag on their backpack, or another type of visible id can help keep allergies top of mind while making great memories. Even if you have alerted the staff, not all of them may know your child by sight; identification can help others around your child know of their allergies. Whether attending sleep-away camp or a day camp, it is a great opportunity for your child to learn responsibility for their allergies and asthma. If your child has an epinephrine auto-injector or asthma inhaler, walk them through their allergy or asthma action plans. Make sure they know what reaction signs they need to watch for as well as the instructions for using each. Remind your child to check food labels before eating a snack from the trading post, if they are too young to do this on their own, make sure they know to ask an adult for help. Talk to your child about telling others about their allergies and turning down food if they don’t know if it’s safe. If possible, when dropping your child off at camp, make sure they know who is in charge of medical and where their medications will be located. 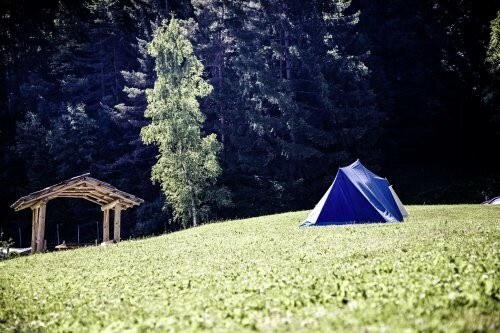 All campers worry about bugs, poisonous plants, and the sun. Pack bug spray to ward off mosquitos and other insects. If your child is allergic to insect stings, alert the medical staff and ensure they have the proper medication in case of emergency. When outdoors children may come into contact with plants like poison ivy, teach them how to identify poisonous plants and pack anti-itch creams to treat any poison ivy or bug bites your child gets. Lastly, don’t forget the sunscreen! Many campers will be spending a lot of time outside this summer, prevent them from getting a painful sunburn and pack some SPF. Follow the procedures of your child’s camp this summer and keep communicating with the staff to help your child stay safe and make wonderful memories. If you have any questions or concerns about your child’s allergies or asthma, our doctors are here to help, schedule an appointment at 800.999.1249.